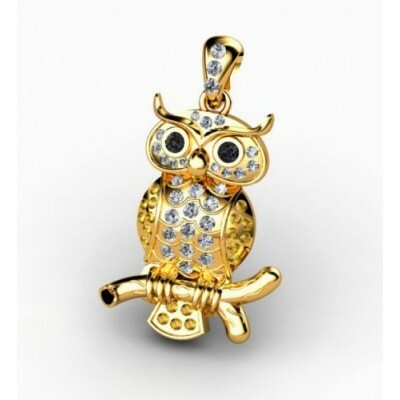 This fortune bringing owl pendant is great for you. Acccording to ancients beliefs the owl will bring you good luck and prosperity. This pendant is made of 18K gold. The face and the chest of the owl are filled with brilliants that have a total quality of 0.42ct. H-VS. The eyes have 2 black diamonds of 2mm size. The wings and tails carry a topaz of 1.2mm size. Choose the color of gold that you want. 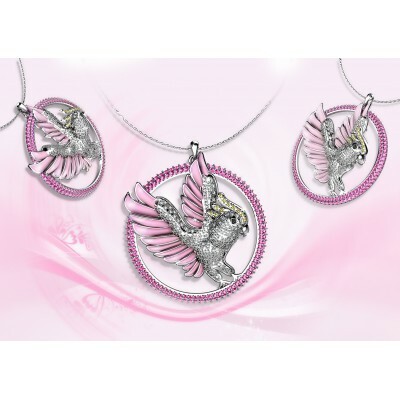 Accessorize your necklace with this beautiful owl-shaped pendant. It is made of 18K gold with precious gems and diamonds. The owl, according to ancient beliefs, will bring you good luck and fortune. 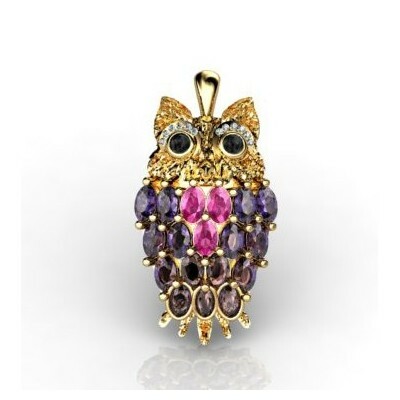 On the owl' body, you will find 15 Amethysts and 3 tourmaline roses in oval shape, measuring 3.5 X 5.5mm. Furthermore, it has 12 brilliants with a total quality of 0.105ct. H-VS. Th eyes are made with 2 round saphires of 3.4mm size. This pendant is perfect for any necklace. It is made of 18K gold. 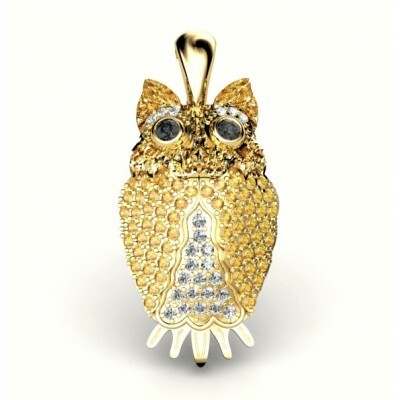 The mythetical owl will bring you fortune, charm, and good luck according to many beliefs. The chest and the eyebrows have brilliants with a total quality of 0.20ct. H-VS. The wings consist of 64 1.2 mm Topaz and 2 black diamonds with 2.10 mm size on the eyes. Original pendant inspired by Caribean birds and made with white gold and 180 brilliants, 1.19ct in total. 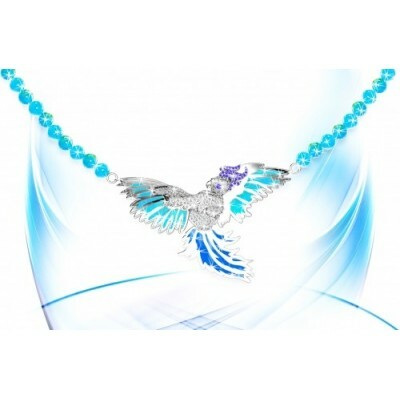 The collar is made with colorful gemstones of your choice. Search while it finally here! Get this breathtaking ring with unique avian design exclusive only from the House of Spinosa, this 18K Gold Pendant with Diamonds and Pink Quartz comes with 125 brilliants by 1 mm in 0.82ct and 76 pink quartz in the form of a Parot.